Social Media can be seen as a chore for many restaurants, and we don’t blame you. But with a few simple adjustments and implementation strategies, it can easily translate into more revenue. Here are some great tips on how to sure up your fan base and attract new customers via social media channels. By conducting thorough research on the potential audience you want to reach, you can save yourselves the headache of creating a social media profile that will ultimately prove ineffective for your audience. Our technology services for restaurants and dashboards & business intelligence for restaurants can help you to know your audience and leverage that information to know which platform to jump into. Also, don’t be afraid to pivot if your approach wasn’t what you expected. Ongoing evaluation and a willingness to pivot is key to success. Social media is the perfect way to interact directly with your customers. One of the best ways to get these regular customers involved is to leverage photo sharing. We all know people are snapping pictures of their food and posting them to Instagram, so by searching for your brand on the platform you could then repost photos posted. This is a great way to build a relationship with fans and also put your brand name in front of their friend list as well. Oh, and make sure your food is photo-ready. This is something that you spent a lot of time building, so find creative ways to build this into your social media strategy. The CEO of Pardon Social Marketing, Katrina Pardon, suggests fangating, which essentially means offering something (a recipe, a discount, etc.) in exchange for a “like” on your page. This is an easy way to get more traction on social media, without spending valuable advertising dollars. This strategy could be implemented on your social media page, as well as through this email marketing list via a newsletter to subscribers. No brainer, right? Well, not for everyone. One of the most challenging components of having a social media presence is generating enough content that is compelling. You have a bit of an advantage though, as what you create is highly visual. So yes, post pictures of food, the chef in action, your busy dining area, team members, etc. Instead of wasting time boosting posts, which may seem like a good idea, Pardon recommends using Facebook’s advertising panel instead, and we agree. Boosts don’t necessarily translate to anything more than eyes on a post. 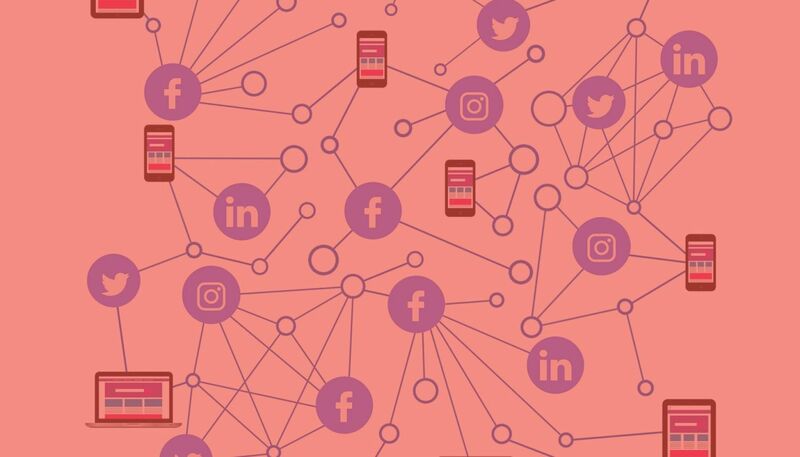 This doesn’t necessarily mean more likes, comments, or shares — all of which are essential to relationship building, which should be your ultimate goal. Through their advertising panel, you are given access to all the information Facebook collects on its users, and the panel allows you to target your guests accordingly. While it is certainly the most professional (translation: least fun) of the social media platforms, don’t underestimate its potential in engaging fans. It’s a powerful tool if you are interested in attracting people of specific job titles. You can then leverage this information to reach out to certain people to inform them about, say, your catering services. We all know that time on social media can quickly devolve into an endless scroll session. Try using tools such as HootSuite, which allows you to schedule out posts ahead of time, resulting in better management of your various platforms, and Yext to manage locations, listings, and business information across various channels. Even more than likes or comments, your ultimate goal should be to get shares. You want other people to share your message, right? You could ask other people with large networks to share your content on their page, and in turn, do the same for them. Another way would be to post content that positions yourself as an expert — for example, posting recipes or how-to videos. Put a firm social media plan into place and carve out dedicated time to post. The best times for posting content include the morning when people first get into work, lunch time when they are on their break, or after work. The best thing you could do would be to try to post during times when people may be making decisions about what and where to eat. Overall, don’t lose sight of what is most important for you — engaging your community and turning these online social interactions into traffic to your store. Does your need help leveraging social media and do you have the capability to measure customer satisfaction metrics? Giving yourself the ability to communicate with customers via social media while using a partner like Salesforce to build relationships, and connect with customers across platforms is essential to keeping your business on an upward trajectory. DineEngine® can help you build these features into your restaurant’s digital experience. Tell us about your needs and we can help you measure and improve your customers’ satisfaction – which is certain to help your business continue to grow.